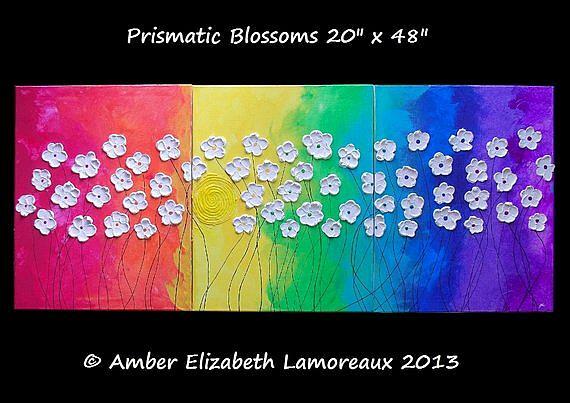 'Prismatic Blossoms' huge impasto 20" x 48" original gallery wrapped canvas painting by artist Amber Elizabeth Lamoreaux. This is a painting of white flowers painted with a palette knife in heavy impasto petals that come off the canvas in 3-D. The background of vivid rainbow colors (also reflected in the center of each flower) adds beautiful pop and vibrancy to any room.